This VGA over Cat5 extender kit allows you to extend a 1920 x 1440 (60Hz) signal up to 350', or a 1024 x 768 (60Hz) signal up to 500', when using 24Awg, Solid Wire Cat5e/6 cable (sold separately). Extender draws power directly from a USB connection at the computer to eliminate the need for an external AC adapter. Receiver unit includes Gain adjustment for brightness and darkness control, and Equalization adjustment for sharp, clear images. 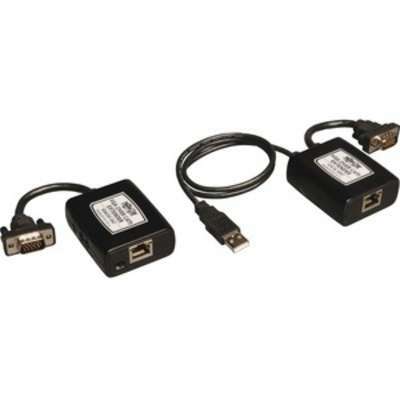 VGA dongles allow for direct attachment to video equipment without requiring a VGA cable. Extender kit is perfect for digital signage applications, classroom or auditorium projectors, and more.